Become a MEMBER of Greater Toledo Right to Life and help advocate for all LIFE. 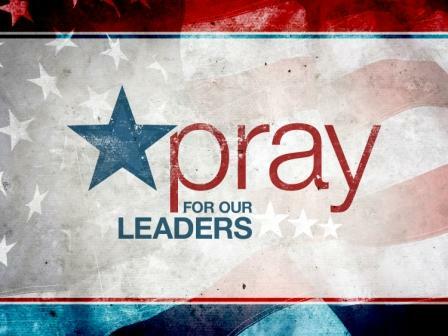 Pray for our legislators and those that represent us locally and nationally to take actions that reflect God's value of all LIFE. Give of your time, talent and treasure to be an advocate for the voiceless. Get to know your Ohio State Representatives and Senators and let them know where you stand on pro-life. This Ohio Government page lets you search for the contact information for your specific representatives by your zip code. The same is true for identifying your US Representative and your US Senators through these sites. Often, the GTRTL needs your help in being a voice for the voiceless and letting our political representatives know there are many of us in the Greater Toledo area that want their votes and actions to reflect the pro-life mission to value all LIFE. 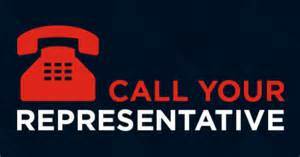 Your phone calls matter! ​Join us a for breakfast and an opportunity to meet and talk with local government officials, state legislators and other elected service people that are making decisions in our courthouses and government centers. Wood County Prosecutor, Paul Dobson, will be the keynote speaker. (see bio below) Plus, legislative updates from Barry Sheets on what is happening is the State House and Senate regarding bills that are proposed and impact life issues. STUDENT Tables sponsored by Munn Wealth Management. Contact 419-535-5800 to register for a seat or for your student group attending the LBB. Pro-lifers champions in the Ohio legislature moved Tuesday to reintroduce a bill protecting preborn babies with beating hearts from abortions, confident it will finally become law now that pro-life Mike DeWine is Governor. Senate Bill 23 is virtually identical to legislation last year, which would ban aborting any baby with a detectable heartbeat. Preborn babies' heartbeats can now be detected around six weeks into pregnancy; violating physicians would face up to a year in prison. In December, the legislature came one vote short of overriding a veto by then, Governor Kasich, thanks to Senator Bill Beagle who under pressure caved and changed his yes vote, then days later, to a no vote. "We are grateful that pro-life champions Senator Kristina Roegner, and Representors Ron Hood and Candice Keller have led the way to keep hearts beating in Ohio," said Janet Porter, author of the Heartbeat Bill, first introduced in 2011. "With majorities in both the House and Senate as co-sponsors of the Heartbeat Bill and pro-life Governor Mike DeWine ready to sign it, babies with beating hearts in our state will soon be protected by law." "Representative Ron Hood said it best: 'To deny a human heartbeat is to deny science,'" stated Porter. "We're no longer going to let the science-deniers prevent us from recognizing the universal indicator of human life--a heartbeat." With 50 co-sponsors, a majority of the Ohio House and with 18 co-sponsors in the Ohio Senate, and Governor DeWine, just last month told national radio host Hugh Hewitt he would "absolutely" sign a heartbeat law if it reached his desk, re-affirming previous pledges to do so, it is all-but-certain to become law this year. At Tuesday's press conference Senate President Larry Obhof announced: "As a conservative caucus, we will be focusing on legislation that protects innocent human life." President Obhof has committed to seeing the Human Heartbeat Protection Act (S.B. 23) and the Unborn Child Dignity Act (S.B. 27) passed, along with other Right to Life Action Coalition sponsored legislation. Now after nine years, Ohio RTL's Mike Gonidakis claims "they have been working tirelessly for the last 60 to 90 days to ensure the Heartbeat Bill will survive a court challenge". "Yea Right, after spending the last nine years doing everything he could behind the scenes to ensure it never made to Kasich's desk, and when it did, would not survive a Kasich veto. How disingenuous." Said, Ed Sitter, President of the Right to Life Action Coalition of Ohio. Sitter went on to say, "Let us never forget it's Janet Porter, Lorie Viars and countless other pro-lifers across Ohio who have been the ones working tirelessly over the past nine years to see the Heartbeat Bill become law." Several other states have passed the Heartbeat law Arkansas, North Dakota, and Iowa. Plus 20 other states introduced heartbeat type bills. These laws ban abortion much earlier than Roe v. Wade's "viability" cutoff, meaning one is likely to reach the Supreme Court eventually. It's not known how all the current justices will rule on abortion, especially in light of Chief Justice Roberts siding with the pro-aborts in delaying the enactment of a Louisiana law requiring a transfer type agreement with local hospitals. Feb 9 at 2pm Rally at ProMedica's Headquarters. Join us for a prayer rally to plead for the hearts of the ProMedica board to be convicted to bring about the reversal of the Transfer Agreement decision. Click here for information about the current efforts to close Toledo's abortion facility and increase awareness about ProMedica's complicity in keeping these doors open, allowing 3 babies a day to be aborted. Get involved. Stay informed. This is an on-going effort and we need your prayers and active support to SHUT THEM DOWN! Ohio Senate FAILS to override Kasich's veto by one vote. Very disappointing. ​Each day, three babies are aborted in Toledo at Capital Care Network under the current law which sets the limit at 20 weeks due to the Pain Capable Bill. The Heartbeat Bill would have cut that number with the limit set once a heartbeat was detectable through external methods which is between 5 and 8 weeks! This is a very disappointing result to pro-life advocacy efforts. New Mexico assisted suicide bill will extend assisted suicide to all 50 states by allowing suicide tourism. June 26, 2018 US Supreme Court votes 5 to 4 to NOT require pregnancy centers to tell clients about state services, ie. abortion! Click here for an article about the decision. Purchase coffee through the Foundation for Life and let every cup you drink make a difference for life where you live. Click Here to shop for the coffee of your choice and every purchase goes 100% to supporting the missions of Toledo Foundation for Life and Kingdom Growers. (Shipping is included in the purchase price).